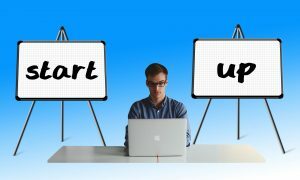 Are you a newly launched start-up and you are finding it quite expensive or tedious to setup your own office space? Check out these top co-working service providers in India and you may find a suitable solution to your problem..
With a lot of new start-ups getting launched in India every month and with rising traffic and space constraints in cities, Coworking spaces are gaining in popularity. 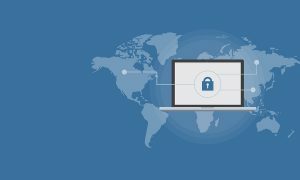 For any small start-up company, it might be really hard to setup their own office for which they may have to pay huge amount of security deposits along with additional overheads like furnishing, decoration, Internet, electricity etc. 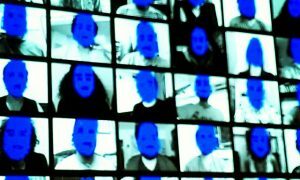 Coworking is a new approach of working in which employees from diverse companies, work experiences and backgrounds all work under the same roof. Coworking spaces offer a fully functional work space along with various amenities, mentoring and events for networking and knowledge gathering. 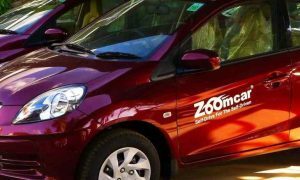 This company was founded by Anuj Pulstya, Susan Lim, Anand Vemuri, Varun Chawla, Pranaya Gupta and Deepak Sharma in the year 2012 in the capital city of Delhi. They setup their first Coworking space in Delhi in the year 2013 and now they have spread across all major cities like Bengaluru, Mumbai, Hyderabad, Noida, and Gurgaon etc. Each of these hubs is now considered to be profitable and offer the best amenities with a clean work atmosphere. They have all the required facilities like Workstations, High speed Wi-Fi, Printers and Scanners, Conference Rooms, Power backup, Game/Chill zones, power-backup etc. Also, these facilities are accessible on a 24×7 basis. They also organize various events to help you acquire the essential skills to improve your business which can be workshops, seminars, conferences and even one-to-one mentoring sessions.Currently, 91springboard is working with more than 300 Corporates and over 1,000 co-workers. They are a multinational company with a chain of premium business centers through India. Their facilities have extremely premium interiors with friendly services and support staff. They have all the required facilities like Conference rooms, cafe, lockers, luxury lounges, high speed internet, private work space etc. They have different pricing plans to suit the budget of any startup company. 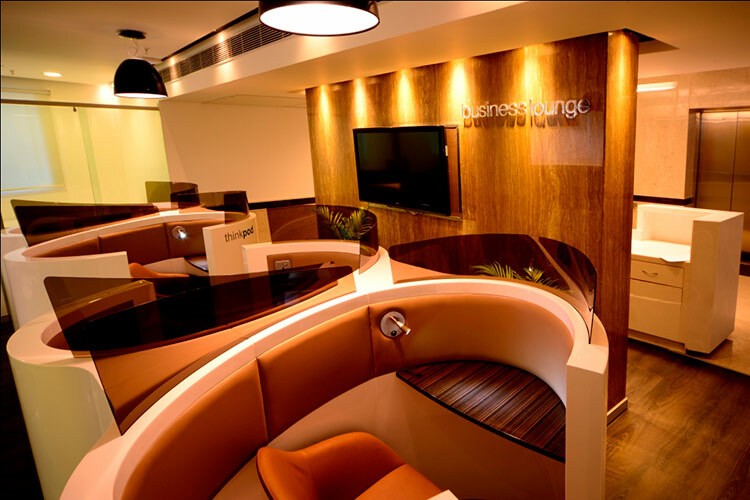 Regus has its presence across 35 locations including Gurgaon, Delhi and Noida. For more details about their locations and pricing, check out the official Regus Website. Founded by Dr. Ritesh malik, a medical doctor who sold his startup Alive App to The Bennet & Coleman Group in 2013, this is one of the popular collaborative work spaces in India. 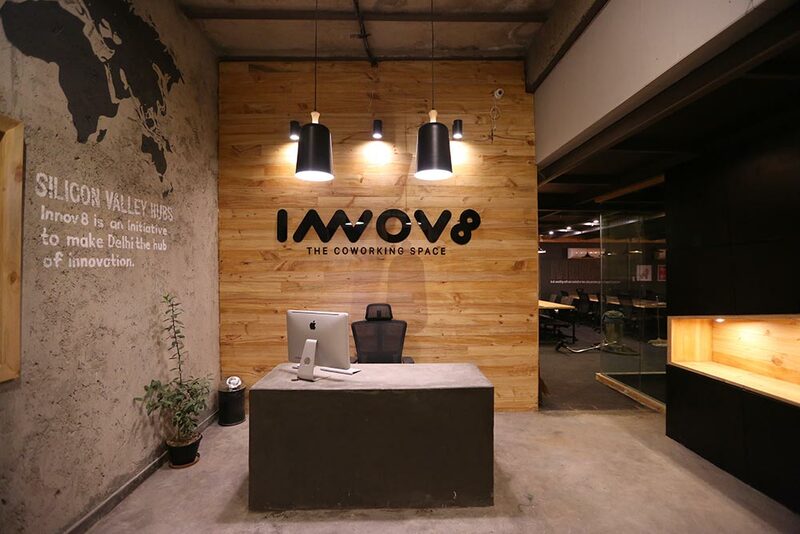 Innov8 was initially launched in Connaught Place, a central location in the capital city of India. This splendid Coworking space has 3 floors in a vintage building in one of the prime locations of Delhi. It hosts many events including Indian Government’s startup initiatives. Later another branch was started in Chandigarh in 2016 followed by a 3rd facility in the silicon valley of India, Bengaluru. All their Coworking spaces are well-furnished with all amenities like Power backup, uninterrupted WiFi, ergonomic furniture, reception and house keeping services, Recreational and breakout zones, Meeting and conference rooms, scanners/printers etc. 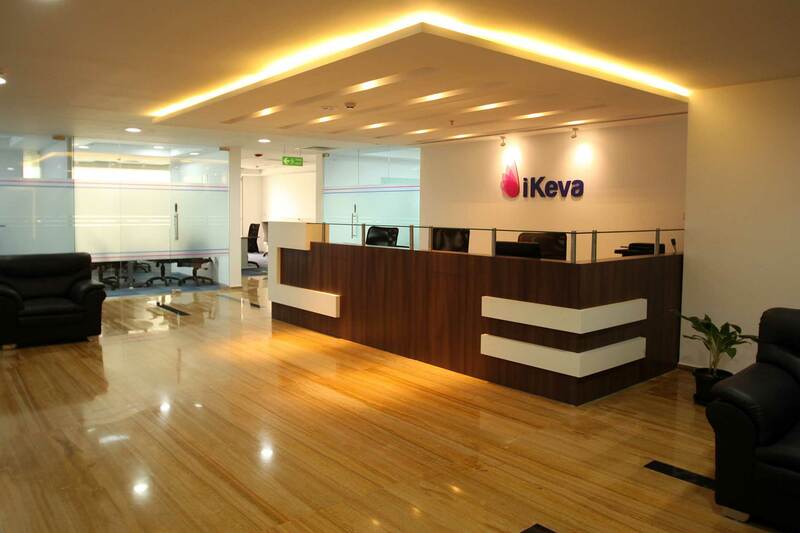 iKeva is a business Center chain with premium offices, conference rooms and event areas.They offer productive work spaces that can be customized according to your business requirements, whether you are a MNC or a growing start-up. iKeva caters to various clients across the country with their virtual offices, services offices, Coworking spaces, meeting rooms, boardrooms and conference halls. They offer hassle free and affordable Coworking space to enrich the start-up communities in India. They are located in major cities like Chennai, Bengaluru and Hyderabad. An initiative of NASSCOM and Karnataka Government, 10,000 Startup’s Startup Warehouse is a premium Coworking space in the heart of the Bengaluru where many high quality startup teams collaborate and work together. The startup teams are chosen by a committee of members from the technology industry and the government as well. 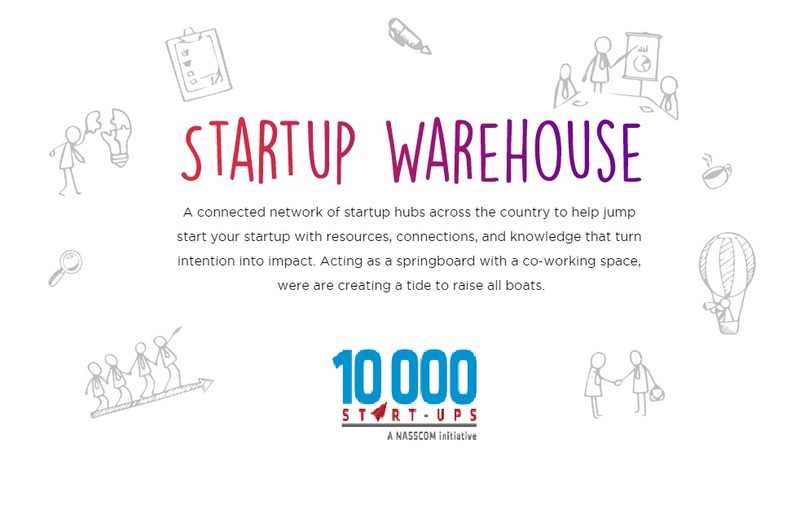 As part of the 10,000 Startup’s initiative, NASSCOM is conduction incubation programs to offer early stage support for new start-ups by building a mentoring community and linking the entrepreneurs with venture capitalists and investors. This Coworking space has a huge campus with 10 Mbps lease line and a good startup culture with support from experienced mentors and opportunity to network with other start-up founders. 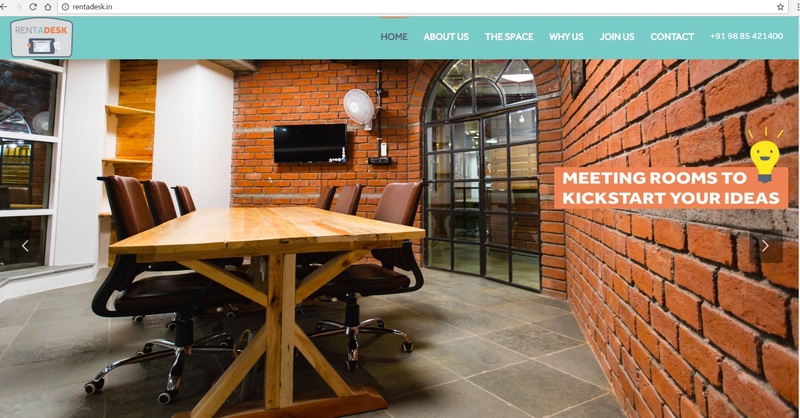 Launched in June 2014, Rent A Desk offers premium work space solutions to start-ups in Hyderabad and have their offices in 3 different locations in Hyderabad alone apart from the newly launched office in Mumbai. They also offer formal conference rooms to organize meetings and also you can rent an entire room for any team meeting or team work. Their daily pass costs around INR 350 and monthly pass costs INR 5,000. They have shared desks, private offices, meeting/conference rooms, high speed Wi-Fi Internet access, Scanners/Printers, Wireless printing, Lockers, mailbox service etc. They have small café with microwave, fridge and other refreshments. Founded by Mr. Pranav Bhatia in the year 2013, this amazing Coworking space is located in the heart of Delhi in Asaf Ali Road, near to the Delhi Stock Exchange. 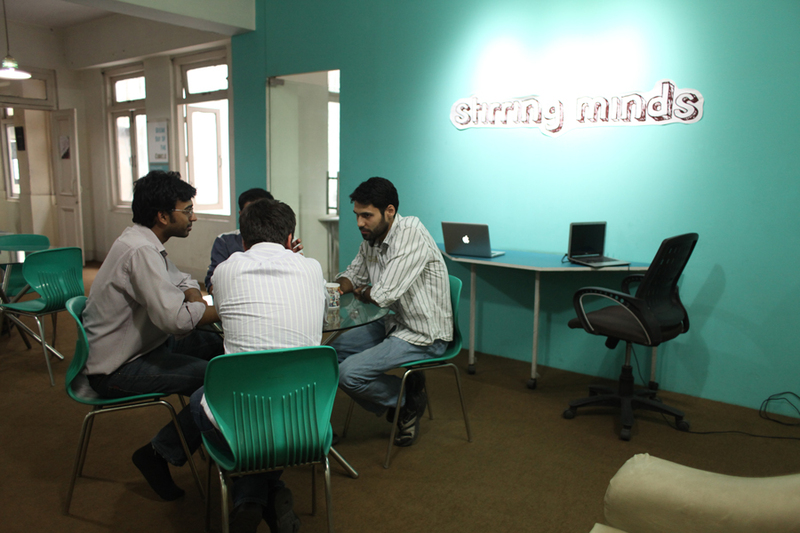 Sprawling over an area of 9,000 sq.ft, this is one of the oldest Coworking spaces in Delhi. It is open to all types of freelancers, start-ups, and innovators who will fit the culture of the space and can contribute to its start-up ecosystem. At present, Stirring Minds has people from more than 20 technology start-ups working there and offers a good atmosphere for collaboration and innovation. It has all facilities like Dedicated Workstations, 100 Mbps Internet connection, Leased line internet and PRI lines, Meeting and Conference rooms, lockers, projectors, VoIP equipment, Printers/Scanners, Reading area with Newspapers/Magazines etc. You also have a space to chill out and play Table Tennis, Xbox games and other facilities. There is also a cafeteria named INNICIIO – the innovators café. Social Offline is a co-working space which combines the best of entertainment and office space. It’s an urban style hangout designed for both working and chilling out after work. 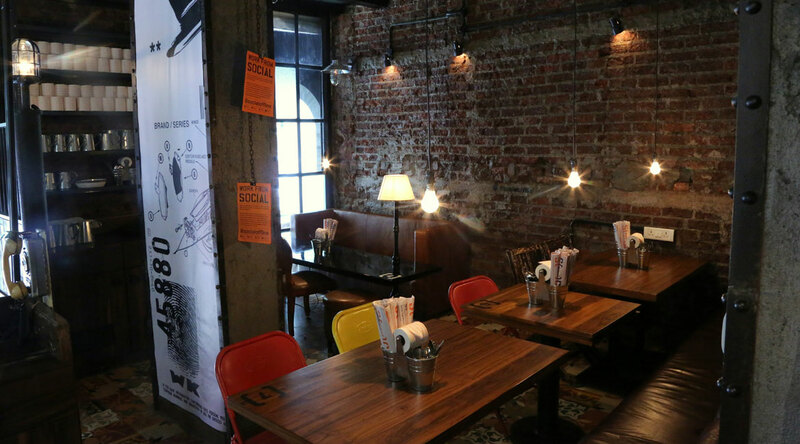 Social offline has a chain of Coworking spaces all over India and they are famous for their luxury café with fully equipped bar and a super cool work environment. Their collaborative work space is available for innovators and artists who can contribute to the community, have fun and stay connected. They have offices at Hauz Khas Village, Defence Colony in Delhi, Coloba in Mumbai, and Church Street in Bengaluru. The facilities available with them conferencing facilities, High speed Internet, Lockers, gaming stations, mail boxes, printers and scanners etc. You also get access to the full luxuries of being in a café with bar where you can get different types of food and beverages. 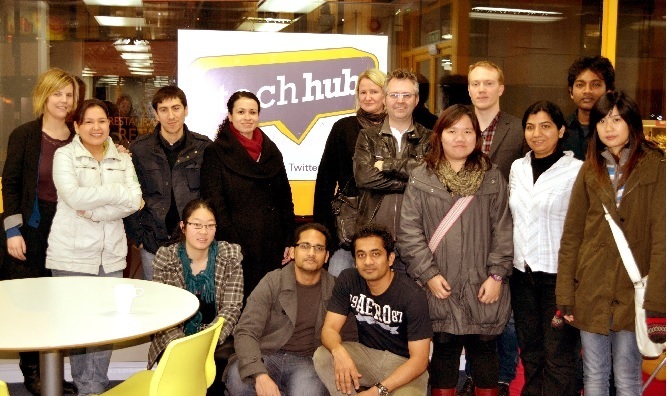 TechHub is a Collaborative workspace where entrepreneurs can meet, learn and work together. It offers virtual and physical spaces which helps tech start-ups to work smarter and develop their products effectively. They organize plenty of events including seminars, workshops and conferences. They have all the facilities including social and educational events, meeting rooms, printing facilities, access to TechHub locations worldwide, pantry with tea and coffee etc. 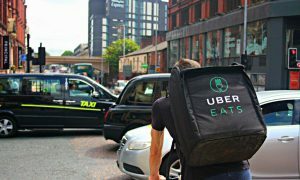 They have branches in cities across the globe including Warsaw, Swansea, Madrid, London, Bucharest, Rega and Bengaluru. With a sprawling campus of of 33,000 square foot, the Investopad campus located in Gurgaon can house teams as small as solo founder to very large MNCs as well. They have in-house teams and Digital marketing experts, Visual UI Design and Customer service to help you develop strategies for your startup. Also, you can get access to mentors and technology experts who can guide you. They have audio visual interactive conference and even rooms, extensive range of startup library resources, marketing books, high speed fibre optic internet etc. They also interface with Seed/Angel funds and Venture capitalists in the city. Their mentors can also guide you with UI design, marketing, brand development, IPR and legal issues etc.